Facial recognition is an area of forensic science and police investigations that has been improving over the last decade. One of the main goals of using this technology is the ability to quickly and automatically search hundreds of hours of surveillance footage — looking to instantly ID that one face in a crowd, regardless of their distance to the camera. 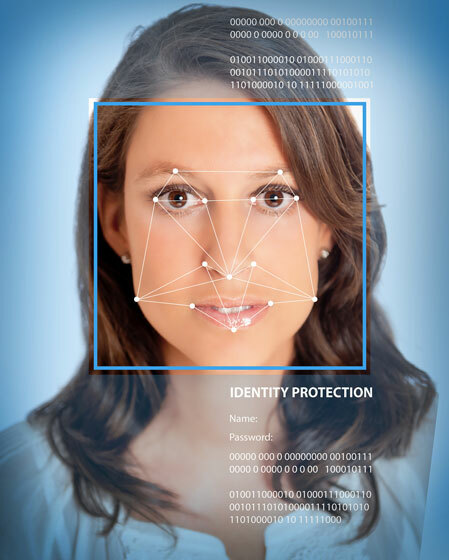 Another future use of facial recognition will allow us to upload a photo of an individual’s face onto a search engine such as Google, ask Google to do an identity search using that face, and pinpoint any photos of that person — both historically and very recently — that appear anywhere on the internet, from Facebook to the DMV. Of course the police, FBI, Homeland Security, CIA etc. would have access to more database resources than the average citizen. Although current technology does not allow for this type of facial recognition searching at the moment, the federal government is making moves to get us there sooner than later. Originally, BOSS was devised to, “help detect potential bombers and terrorists overseas at ‘outdoor polling places in Afghanistan and Iraq,’ among other sites.” But in 2010, DHS adopted the surveillance research for police and law enforcement to use in the United States. However, after a recent test of the system, it was determined that BOSS was still not up to par and the department recommended against officially deploying it until improvements were made. As of now, the system is extremely proficient at automated face recognition, which matches faces using photographs taken under ideal circumstances, such as a mugshot or a passport photo. Aiding in this feature is the FBI’s controversial billion dollar Next Generation Identification system, or NGI, which will provide law enforcement departments with a national database of mug shots and various pieces of personal data on criminals. But as far as surveilling crowds from a distance and identifying individuals whose faces are not 100% visible, the system is still not reliable enough to implement. One of the aspects blocking reliability in facial ID is that video recordings of faces are often low resolution. You need to record sufficient detail of the eyes, nose, and face to compare and differentiate between millions of other faces. Ed Tivol of Electronic Warfare Associates, the military contractor that’s currently building BOSS, says the goal is to reach 80-90% certainty from a range of 100 meters, something that apparently has never been done before. As of now, he claims the system is at 60-70% certainty from that distance. Tivol says that as computer processing technology improves, it’s inevitable that they will eventually reach their goal. Meanwhile, as facial recognition technology continues to improve, some businesses are utilizing it other interesting and fun ways. In Finland, a company is developing a system that scans your face as a form of payment: Rather than swiping a credit card or paying cash, a quick, simple facial scan identifies who you are and automatically withdraws the cost from your bank account. And facial recognition isn’t just for humans either! In Vancouver, BC, an app is being developed to identify lost pets. The way it works is you scan your dogs face and submit it to the app’s database. Then, if your dog ever gets lost, a scan of the dogs face reveals its’ identity and the owners information. The goal of automatically searching surveillance video for a specific face is not possible yet. Searching video for an individual recorded on security cameras still takes a human and must be done in real time. Once the technology improves, we can expect facial identity to become a normal tool in the forensic and investigative arsenal.